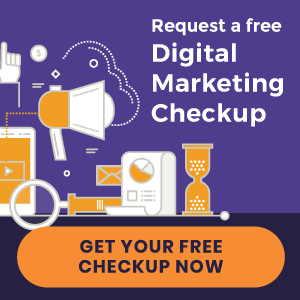 Maintaining your digital reputation is essential to the ongoing success of your practice. Prospective patients rely on online reviews now more than ever, sidestepping practices that are overflowing with negative online feedback. 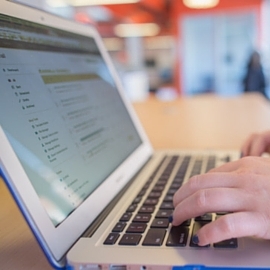 Whether we like it or not, online reviews impact user behavior – substantially. In fact, nearly 80 percent of consumers trust online reviews as much as personal recommendations. This is why knowing how to handle negative online feedback, while promoting positive feedback, is an integral part of your online marketing efforts. Do I have any online reviews, and if so, do I know where to find them? 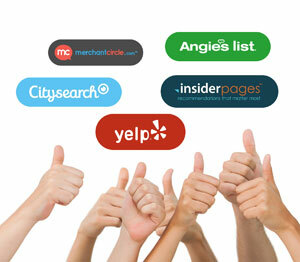 Am I promoting positive reviews by reaching out to satisfied patients? Am I responding to negative feedback with thoughtful responses? Am I seeking improvement based on patient feedback? As they say, the best defense is a great offense. Avoiding negative reviews altogether is, of course, ideal. The best way to do so is to maintain open lines of communication with your patients. If a patient doesn’t feel like they’re being heard, or their expectations went unfulfilled, an online rant may seem like the perfect medium for revenge. As a chiropractor, and business owner, public scrutiny can evoke anger and resentment. But when a patient vents about your practice, consider what they’re feeling. Use their criticism as a way to identify any overlooked problems. When searching for online feedback, prospective patients look at your overall star rating. Positive online reviews will help overshadow the negative ones. This is why you should encourage satisfied patients to share their experiences on third-party review sites like Yelp and Google. By building a lengthy résumé of favorable reviews, you’ll nudge poor feedback down the chain. Criticism is a part of doing business. A thoughtful response should be as well. The worst thing you can do is to simply do nothing. Tackling complaints in a personal manner shows that you are aware of your patients’ concerns and that you have their best interests at heart. Don’t panic! A negative review of your practice can be stressful. But the occasional bad review is often seen as an outlier if all your other reviews are glowing. Some say that a negative review actually increases the believability of your positive reviews. Respond with a thoughtful, non-emotional response that acknowledges the patient’s concerns. In addition, let them know you will be contacting them to resolve the matter. Take the discussion offline. Make the discussion personal by contacting the reviewer via phone for a one-on-one conversation. If all goes well, the patient may decide to remove the review altogether. If they don’t, all is not lost. Prospective patients will at least see your response, which shows that you are a practitioner who takes patient concerns to heart. Want to build your reputation as the local authority on natural health care? Blogging regularly on your website shows that you are. Download our free eBook, “Blogging for Beginners,” and learn how to attract and convert your ideal patients. « WEBINAR: Which Website Service Plan Delivers New Patients?